As you know, I was popping into the Anthropologie store the other day (still dancing around my brandnew Elisaliex pattern). I love almost everything they have, but it’s almost all beyond my budget (Seriously, 20 pounds for a kitchen clock?). Except for the By Hand London patterns, I have never bought anything there, especially when most of times I like something, I think ‘Hey, couldn’t I make that myself? Haven’t I seen a tutorial for this?’. 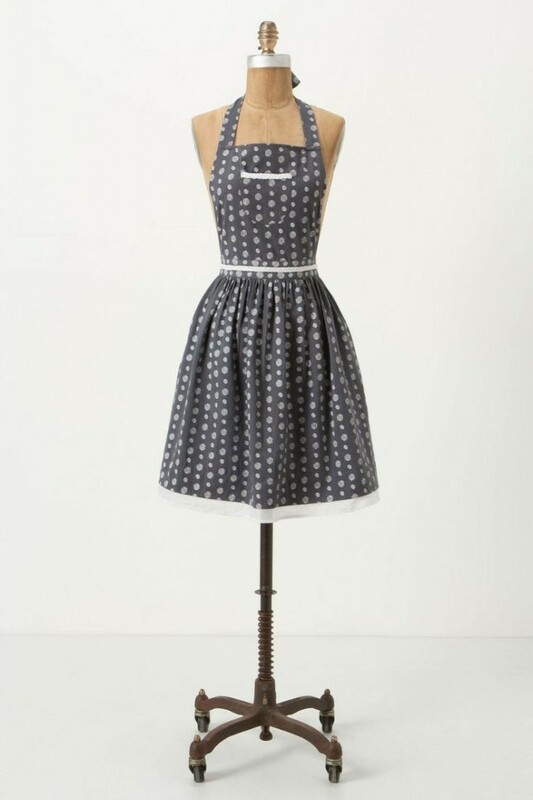 Last week I saw these cuuuuute aprons (40 pounds) and looked them up online when I was back home. Since stash dieting is one of my resolutions for this year, I thought it might be a cool project for using some of the craft and quilting cottons from my stash (which I almost never use). 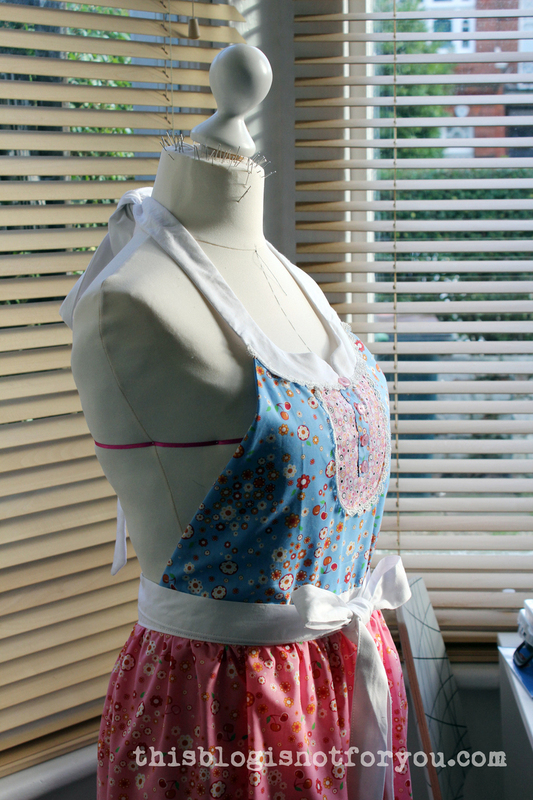 So I made my own cute kitchen apron. Quite a quick project, especially when using crafting cottons everything (cutting, pressing, pinning…) is so much faster than sewing with other fabrics. 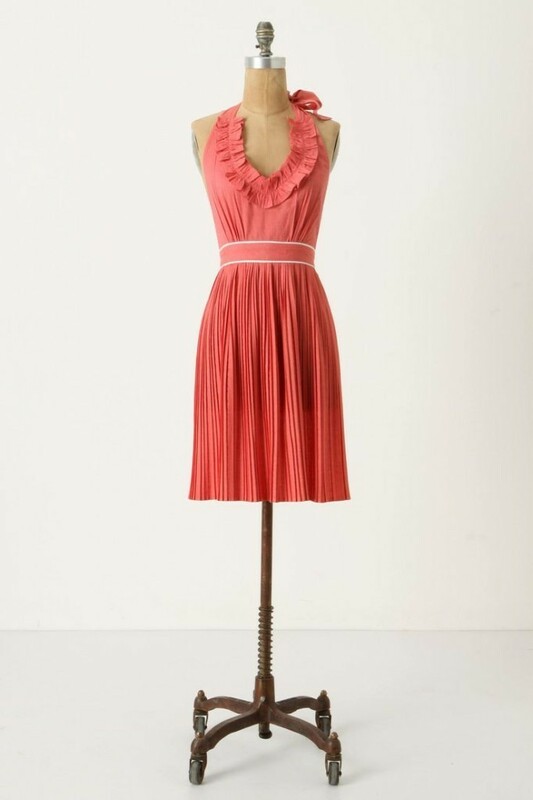 You can see how the neckline, placket, bow and hem were inspired by the Anthro-version. But I really like it and will probably be making more. They also make good gifts, I think. 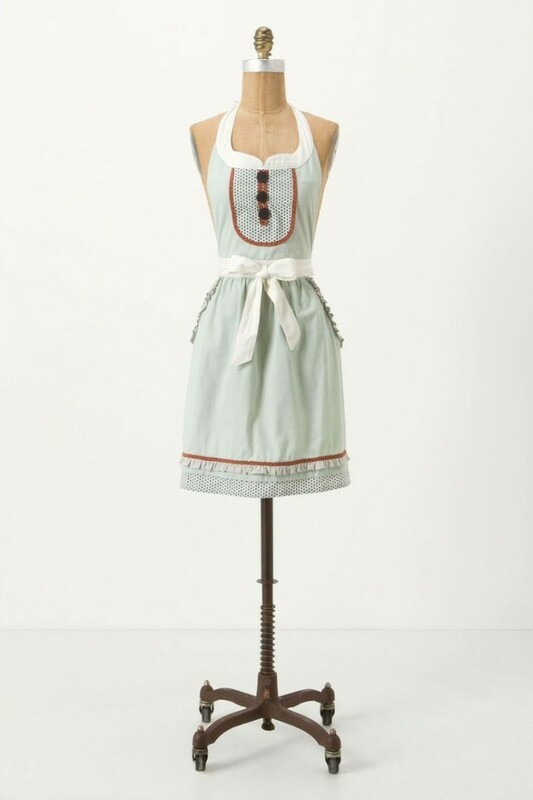 Here’s some more Anthro apron inspiration…ahhh – so gorgeous! I decided that this project wouldn’t count towards my 27 Dresses Challenge. Just like the toddler pinafores I made, it’s not quite a proper garment although I made it from scratch. Too bad (there are only 9 more to go until I can finally buy an overlocker! ), but I have to be strict so it doesn’t get too easy. There will also be a tutorial/making of post this week! 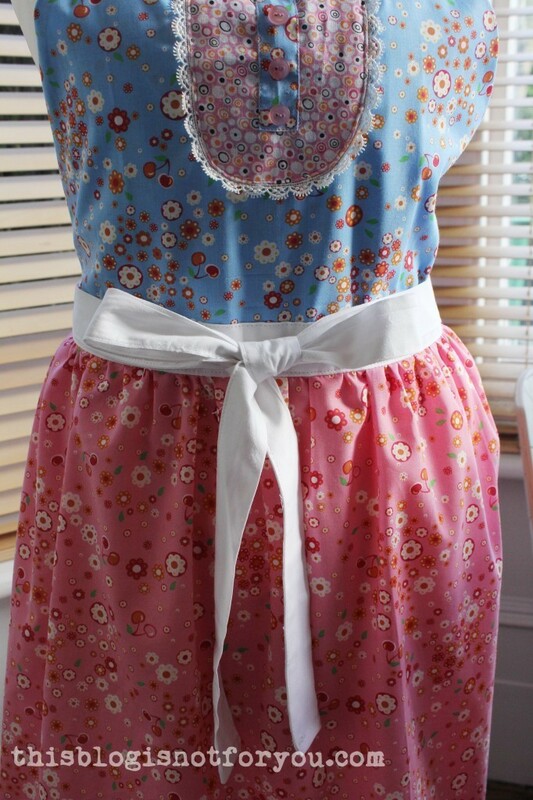 Lovely apron! 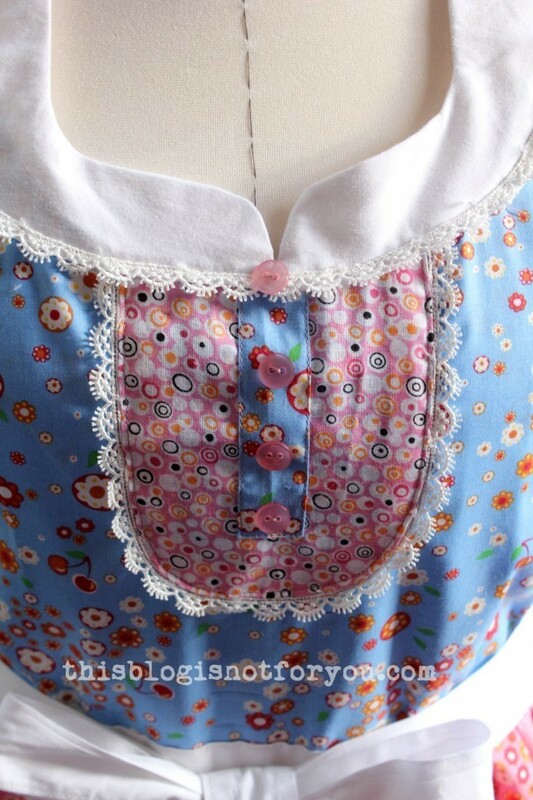 And much cuter (and cheaper and better quality) than the one from the shop 🙂 I really like that goes all the way around the bum, and this lovely buttons details at the front bib. 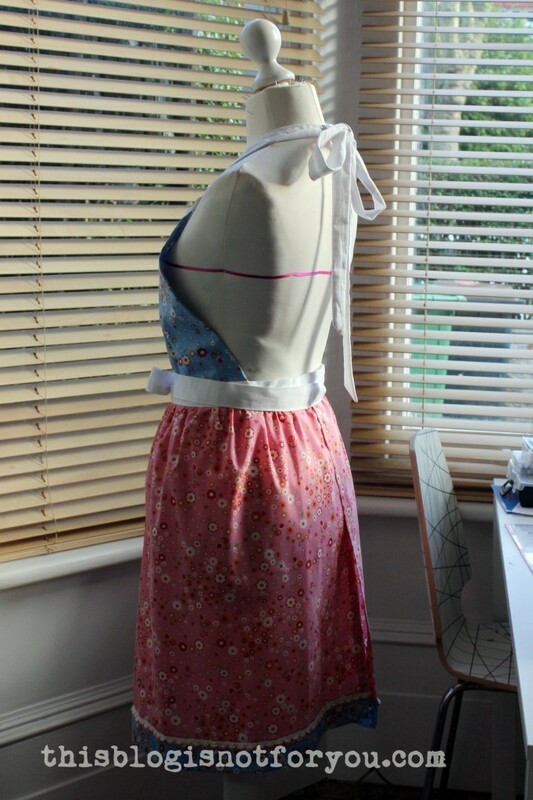 Such a pity that I made myself an apron just before you posted yours, but you never know, I might need two 🙂 So, I am looking forward to your tutorial! So cute, I love yours so much more than the inspiration and cannot wait for the tutorial! Your sew-man-ship (is this a word?) is excellent. I consider myself and advanced beginner to almost intermediate seamstress. My ideas are more grandiose than my ability to sew them. 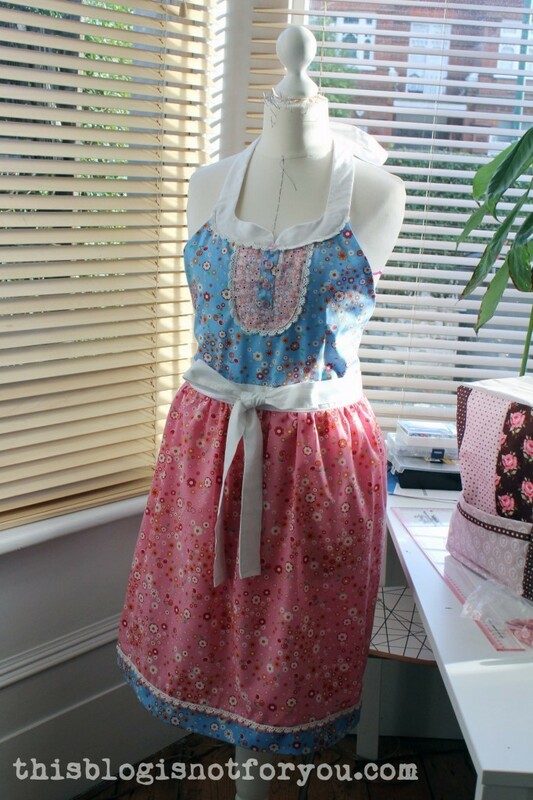 Thanks for introducing the cute kitchen aprons and are made with latest fabric designs. It’s good that they are affordable. 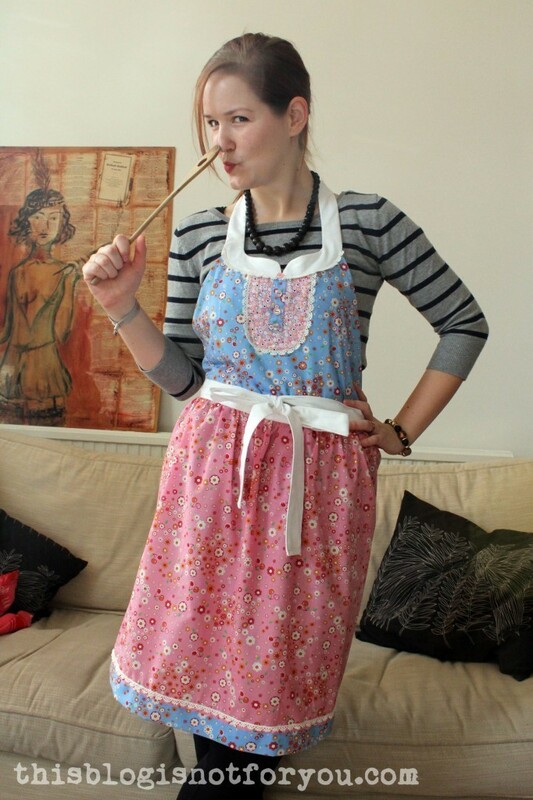 Even I am also in this business in creating stylish and cute kitchen aprons.